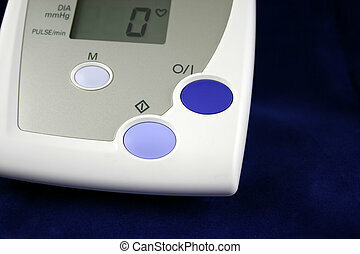 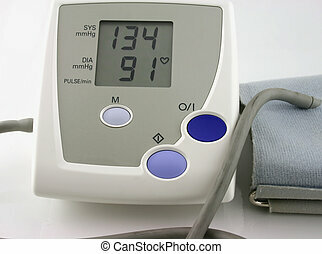 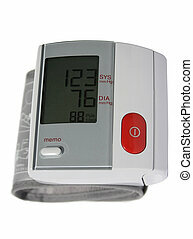 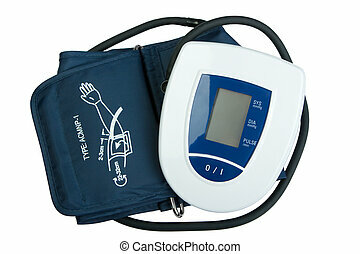 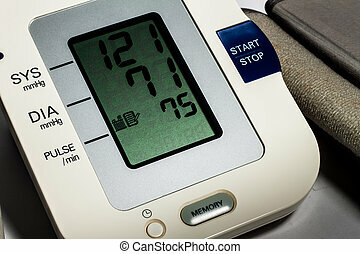 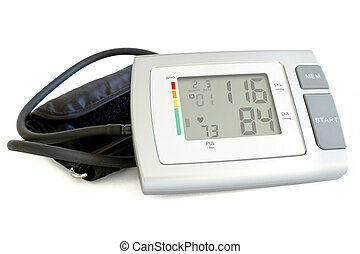 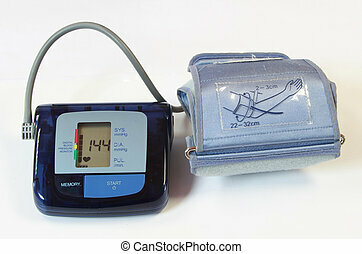 Consumer blood pressure monitor closeup up. 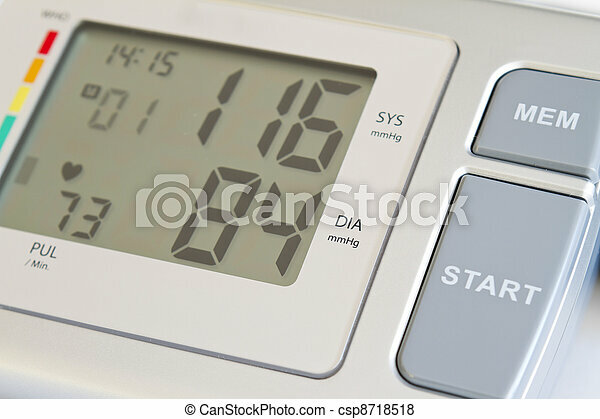 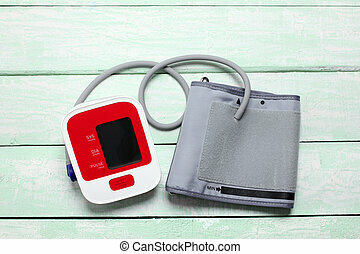 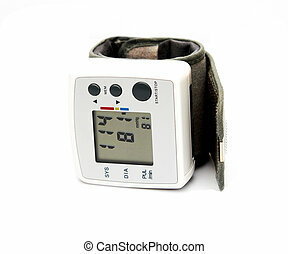 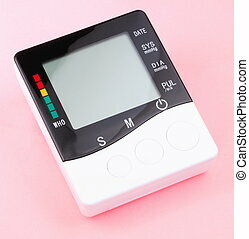 Blood pressure monitor isolated on white. 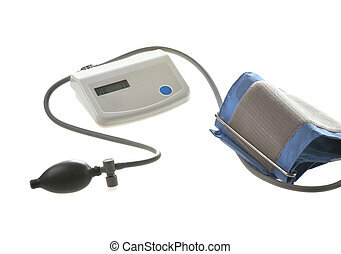 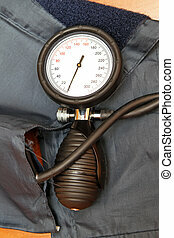 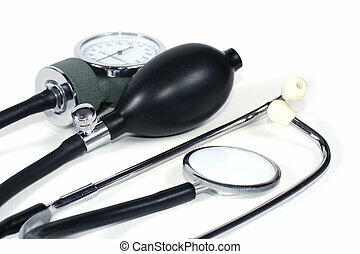 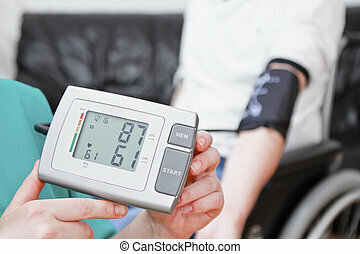 Blood pressure check for young adult in wheelchair. 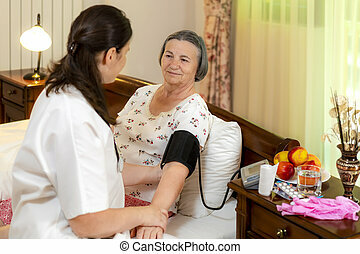 Female doctor checking blood pressure to senior woman at home. 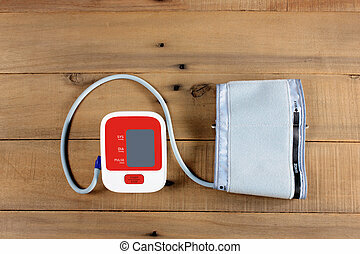 Elderly healthcare concept. 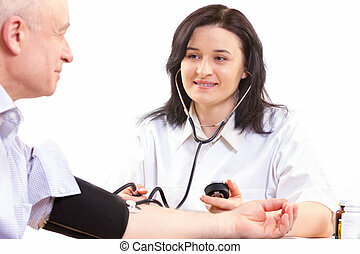 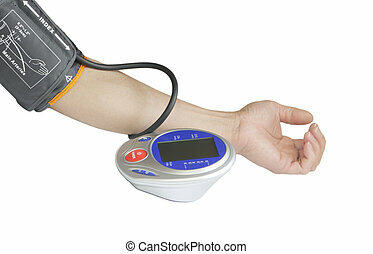 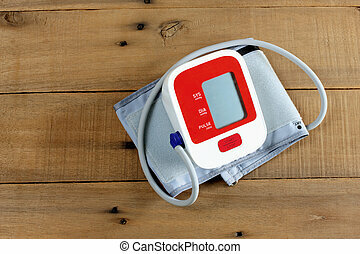 Young man having blood pressure check at home. 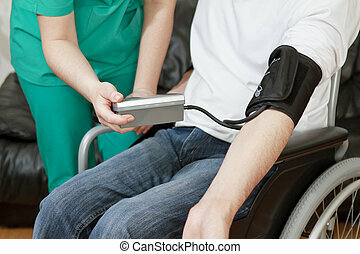 He is in wheelchair.